See our Brunch specials for Easter! Are new menu is up! Stop in and try our new Spring menu today. Ever wish you could learn to create your favorite cocktails at home? Well now’s your chance! Our amazing bar manager Heidi Naef will be teaching a hands on class on a different cocktail on the 2nd Saturday afternoon of each month. To see which cocktail Heidi will be teaching each month and to purchase tickets visit our Events Page. Space is very limited so make sure you grab your tickets now! We are now open for Brunch on Saturdays as well as Sundays from 9-2pm! Welcome to The Red Oak Restaurant, where you can enjoy carefully prepared locally fresh and seasonal cuisine served in a friendly and relaxed atmosphere. 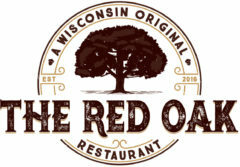 Firmly rooted in southeastern Wisconsin, The Red Oak celebrates the richness of the area by crafting dishes and cocktails from locally sourced produce and artisanal cheeses, beers and spirits. We know the weeknights can be hectic and we’d like to help make Wednesday and Thursday a little easier, and sweeter! So we’ve put together a special menu at a special price for Wednesday and Thursday take-out, Gotta Run!